리튬이온(충전용) 배터리 ICR18650(3.7V 2200mAh)에 보호회로를니켈단자로 연결후 컨넥터를 달았습니다. 수축필름(공업용 드라이어로 열을가하면 수축되는)으로 포장작업을 해서 보내드립니다. 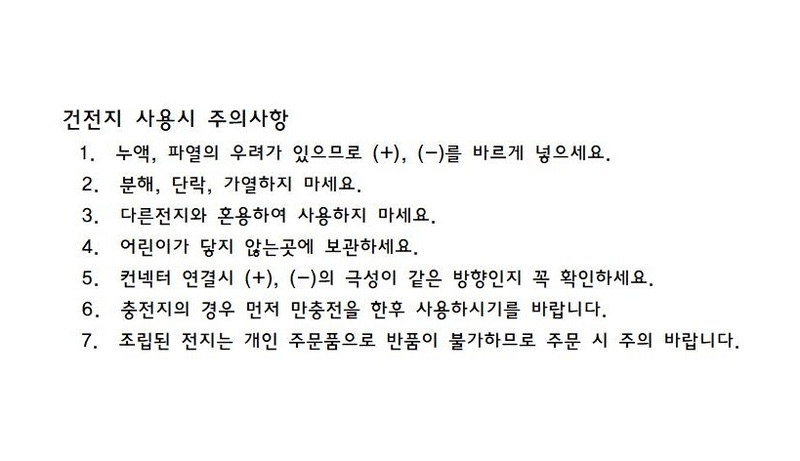 다른 형태의 작업, 다른 컨넥터라면 전화해주세요. Nominal Capacity : 0.2C, 2.75V cut-off : Average Discharge Capacity. * 2 : Nominal Voltage : 0.2C, 2.75V cut-off : Average Discharge Voltage.